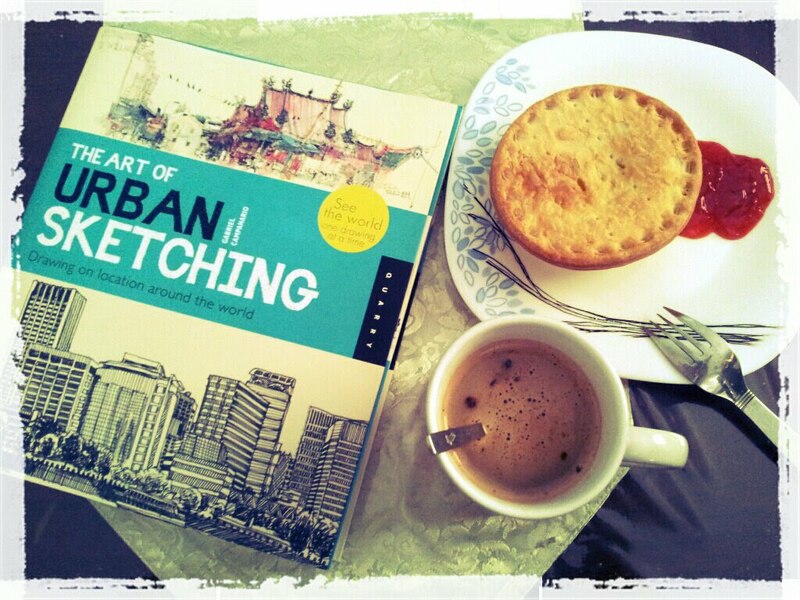 "Sunday breakfast - beef pie, white coffee and a good book..."
Marvin Chew is a Singapore-based Malaysian artist who practices art full time. As the current Vice President of the Singapore Watercolor Society, Marvin is actively involved in many local/international exhibitions and competitions. He started urban sketching at a sketchwalk organized by Urban Sketchers Singapore in July 2010. 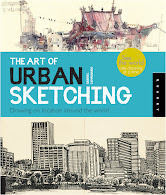 Some of his sketches and plein air works were published in the Urban Sketchers Singapore Vol.1 book launched last year. 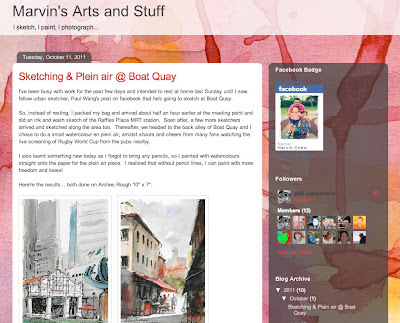 See more of Marvin's work on his website and on his blog (screengrab below).